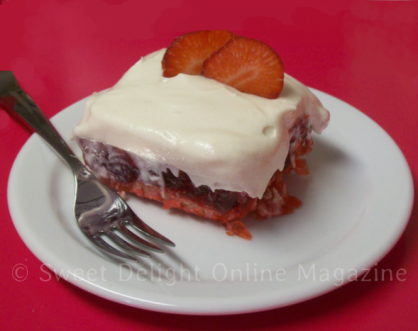 Delight your sweetheart this Valentine's Day with delicious Strawberry Squares. This recipe is easy to make and is a family favorite, straight from mom's recipe book. Directions for the bottom (base) of the squares: Combine 1 cup of flour, 2 tbsp. of icing sugar, and 1/2 cup of butter (softened or melted) together in a bowl. Mix well. Pack into bottom of 8x8 pan. Bake in 375F oven until golden brown. Cool well. Directions for the top of the squares: Boil frozen strawberries (1 small pint) and sugar for 3-4 min. Add strawberry gelatin. Stir well and remove from stovetop. Cool well. Pour over base. Place in fridge until set well. Spread whipped cream over the top of squares. Keep refrigerated. Serve cold. This makes a delicious dessert that is perfect for Valentine's Day or Easter. Enjoy! Highlighting the outstanding people & places that make Canada such a great nation! It's the hottest color of the season! Pink, pink, and more pink. 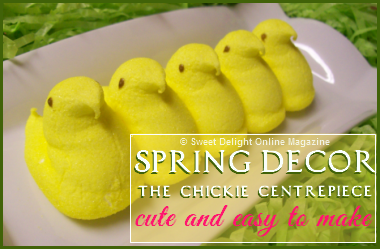 Create a cheerful chickie centrepiece - perfect for Springtime. This de-odor-cream from routine. (yes, another amazing Canadian business) is unlike any other natural deodorant that you will ever try. Find out why! Discover great everyday uses for the lemon. Based in Atlantic Canada, Sweet Delight Online Magazine is a free publication in the form of an inspirational and informative blog. Its simplified format and light, easy, at-a-glance features make it perfect for those who do not have a lot of time on their hands but want a quick "pick-me-up". 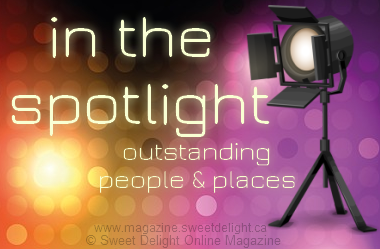 Sweet Delight Online Magazine is a lifestyle magazine that focuses on the sweeter things in life - Canadian life - with a particular interest in the Maritimes. Our publication is passionate about shining a spotlight on Canadian start-ups, local businesses, e-tailers, and the entrepreneur masterminds who work so hard behind-the-scenes to bring their work into the Canadian market. Our editors have extensive experience in the promotions, advertising, and marketing field and are always on a quest to bring new and exciting brands, products, and everyday finds to the attention of their readers. 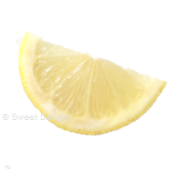 This online publication is brought to you by SweetDelight.ca - Canada's Premier Source For Sweetness ™. If you are interested in purchasing advertising space on this blog in the form of a $10 banner ad, please contact us and we will direct you to a payment page. If you are interested in purchasing our extensive corporate advertising package for more exposure, please contact us to receive information and rates. Questions? Comments? Get in touch with us. Love a product that we've featured or a tip that we've shared? Let us know. Want to have your Canadian business, brand, or product featured? Are you an outstanding Canadian entrepreneur, e-tailer, entertainer, or public personality who would like to be seen "In The Spotlight"? We'd love to hear from you. 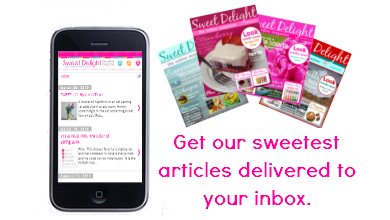 Contact us at magazine@sweetdelight.ca or fill out the form below and we will get back to you. 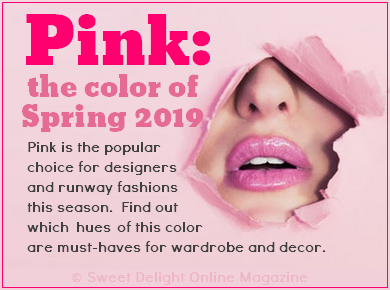 © 2008-2019 Sweet Delight Online Magazine. All Rights Reserved. Simple theme. Powered by Blogger.